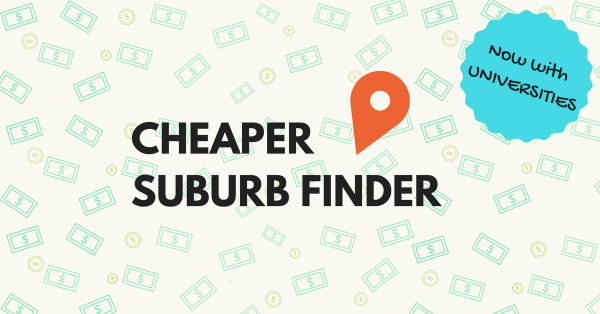 If you’re all about that lifestyle but your bank balance can’t keep up, our Cheaper Suburb Finder might be just what you need. It lets you find more affordable suburbs close to your desired area, meaning you get to save your hard-earned dosh without compromising too much on your lifestyle. Simply enter your desired suburb or university below and we’ll give you a list of those nearby that are cheaper, or dearer.